Hirofumi Matsuoka is a former employee of Nintendo. 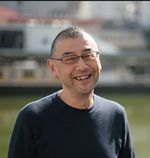 A veteran of Nintendo Research & Development 1, Matsuoka directed several games in the Wario franchise and was also involved in the Metroid series, as a designer for the original game and a graphic artist for Super Metroid. Some time following the completion of WarioWare, Inc.: Mega Microgame$!, Hirofumi Matsuoka left Nintendo to join Creatures, Inc..
↑ JC, Anthony. (November 19, 2005). Hirofumi Matsuoka Leaves Nintendo Co., Ltd. Nsider. Retrieved October 24, 2014. This page was last edited on January 14, 2019, at 12:00.